Sitemap consists information about your site’s URL links. The search engine’s web crawlers like Google bot read this file more intelligently to crawl your website, index your content and list properly in the search results. In today’s post, we are going to provide an overview of why sitemap submission really matters and how to submit sitemap to Google, Bing and Yandex Webmaster Tools. Not familiar with sitemap? You can read more about Sitemap and the process to generate it for your website here. Why submit sitemap to Google, Bing and Yandex Webmaster Tools? Re-Index your website after major content and SEO changes have been made. Set preferred domain to display, either with www. or without at the start. View search analytics. What keywords are people searching that results in them seeing your listing and click reports? See who links to you, and external link reports. Crawl errors. 404 error reports & alerts. It is quite easy to submit a sitemap and list your website in Search Engines Results Page (SERPs). But, before proceeding to the submission steps, we should let you know that you would require a sitemap.xml file placed into your website file directory. Step 2: Click on your web property (blog URL), go to crawl option and the select sitemap option. Next, you need to click on Add/Test Sitemap button. Step 4: Now go back to the Add/Test Sitemap button, submit your URL and refresh the page. You have successfully submitted your sitemap URL to the Google Search Console. It would take some time to get indexed. Once, the sitemap is indexed by Google Search Console, it would show the number of URLs that the Sitemap consists. How to submit your sitemap to Bing Webmaster? It is quite an easy task to submit your sitemap to Bing Webmaster. Step 1: Go to your Bing Webmaster Tools dashboard. Step 2: Now click “sitemaps” in the “configure my sitemap” dropdown on the left. 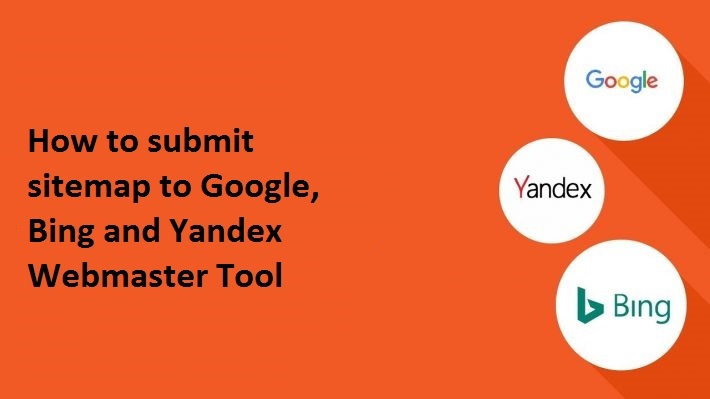 How to submit your sitemap to Yandex Webmaster? To submit your website’s sitemap to Yandex Webmaster, follow these two steps and then you are done. Step 1: Login to your Yandex Webmaster and then navigate to the indexing options. Step 2: Select the sitemap files and then enter the URL of your sitemap file location. Now click on the “Add” button. Once you are done with sitemap submission, you need to list your sitemap in your robots.txt file to ensure it’s found by all search engines other than Google, Bing, and Yahoo. Also, don’t forget to check sitemaps to address any indexation issues/errors that may occur after any major site updates.